Food tours rock. 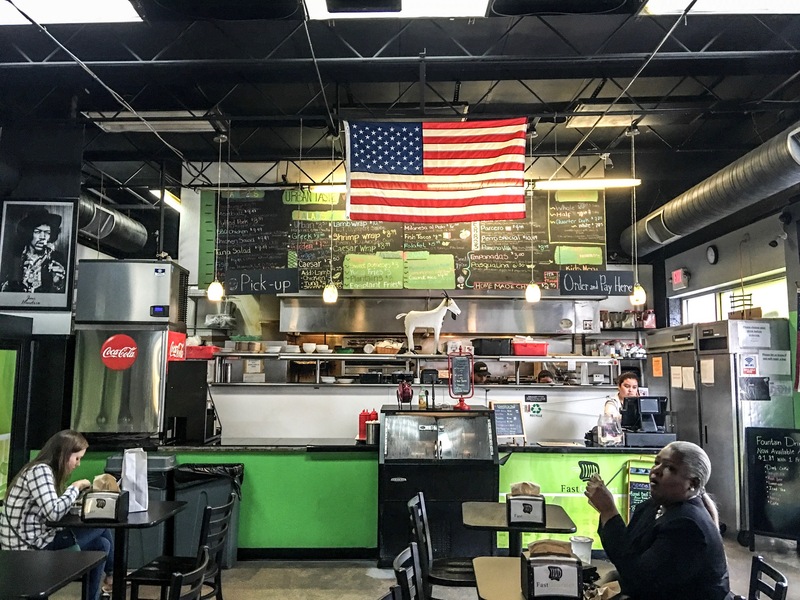 I recently spent a little time in Washington, DC, the capital of the United States, and I made sure to schedule in a few food tours. One of these was the Food and Drink tour from Carpe DC Food Tours! This tour is a trendy tour that takes a look (or a taste, rather) at the hipster side of Washington, DC. 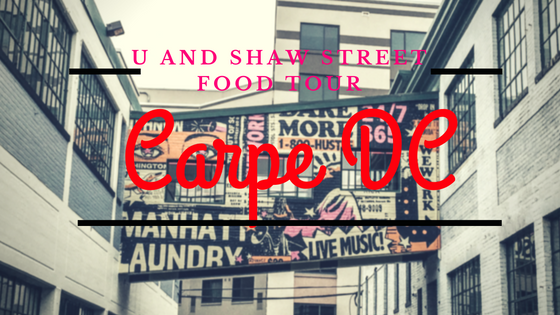 My tour with Carpe DC Food Tours took me to U Street and Shaw. I appreciated the areas of its street art and hip vibe! The area also has a particular focus on the celebration of African-American culture, which was pretty cool. The area also has a lot of great restaurants, which was why we were there, of course. One thing that I really liked about this tour is that part of the ticket sales go to a good cause, Bread for the City, which feeds the hungry. I really love supporting businesses that sponsor humanitarian action, so this aspect made the tour that much better. Our first stop was a brewery, Ben’s Next Door. We ate some good, old fashioned American deliciousness. This place has been around for about 60 years, and it served us some really yummy chili cheese dogs and fries, which we washed down with public ale. The chili was half smoke, which is local to the Baltimore/ Washington DC area. Yup, tastes like America! Match Box got its name from being so small when it first opened. It’s not so small anymore, but the name is still pretty cute! The restaurant now has three locations, but the original building was constructed in 1905. They served us atlas district common, which is steam beer, but it’s more malty and less coffee. Glen’s Garden Market was next on our agenda. This is a local-source restaurant that is yummy but also very healthy. Everything from meats to veggies is raised in a local, ethical environment. Our stop at Fast Gourmet brought us to delectable chivito sandwiches. This place is pretty cool and unconventional, because it combines gourmet and street food. Those are both things I love, so I was in heaven when I got to eat it all at the same place! We ended at Calabash Tea & Tonic. This is a tea house that has a strong Eastern Zen vibe to it. It’s a family owned business run by a 5th-generation herb specialist. She and her daughter use their extensive knowledge of herbs and teas to help you relieve stress and feel happy. Yum, I always love a good food tour! 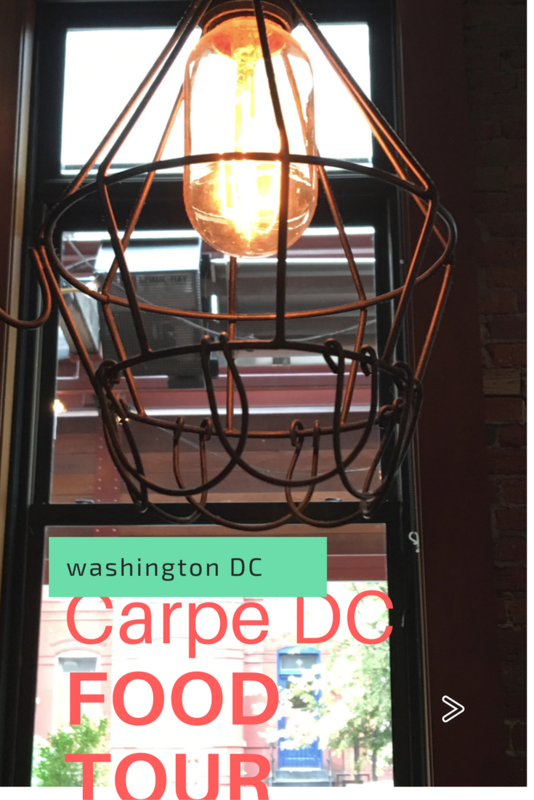 Carpe DC Food Tours is great because they give you a broad cultural overview of the city of Washington, DC. 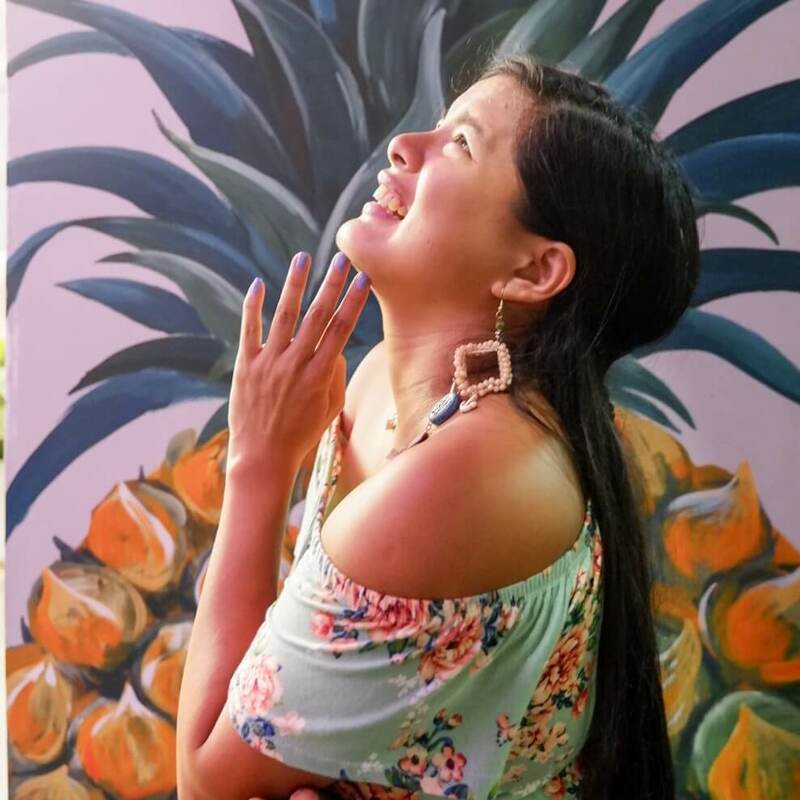 There are so many different kind of people here from every background imaginable, and this smorgasbord of human culinary art is captured in a snapshot through the food tour. I could do it all over again! Fast Gourmet sounds like my kind of place! It’s been a while since my last food tour and I’ve been itching to join one for the longest time! 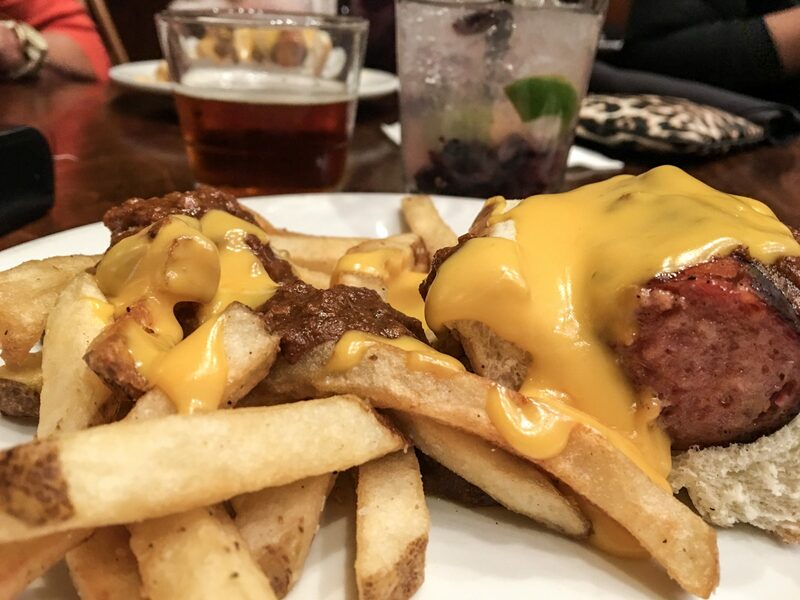 I’ve been to D.C. a few times, but haven’t really ever explored the food scene past a couple of recommendations from friends. This post has me wanting to check out more neighborhoods next time I am there. I love the concept of the restaurants and also their menu’s.. The foods seems delicious..
Oh my goodness. Sounds like so much fun. My idea of a good time is a food tour! The interior design of this restaurant is so classy. 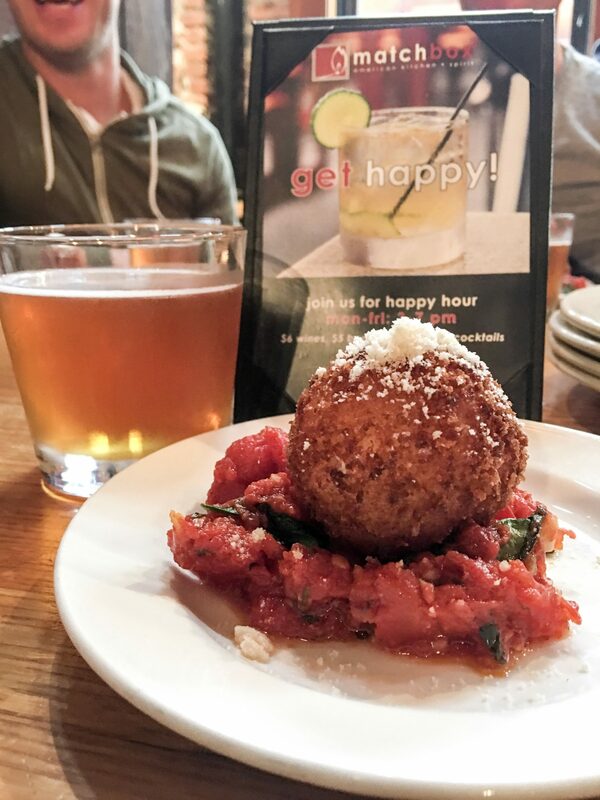 The happy hour idea can make more customers. I would love to experience a Carpe DC Food Tour. Looking at the photos made my tummy grumble. Ben’s Next Door looks like an awesome first stop! That food looks amazing! I will have to visit it sometime. Makes me hungry for fries! I think this would be a fun way to pass the time. I will be looking for Ben’s Next Door the next time we are visiting the area! A food tour sounds SO fun! It would be a great way to explore a new place. All of that food looks incredible!!! I love traveling and trying different restaurants – this sounds like so much fun!